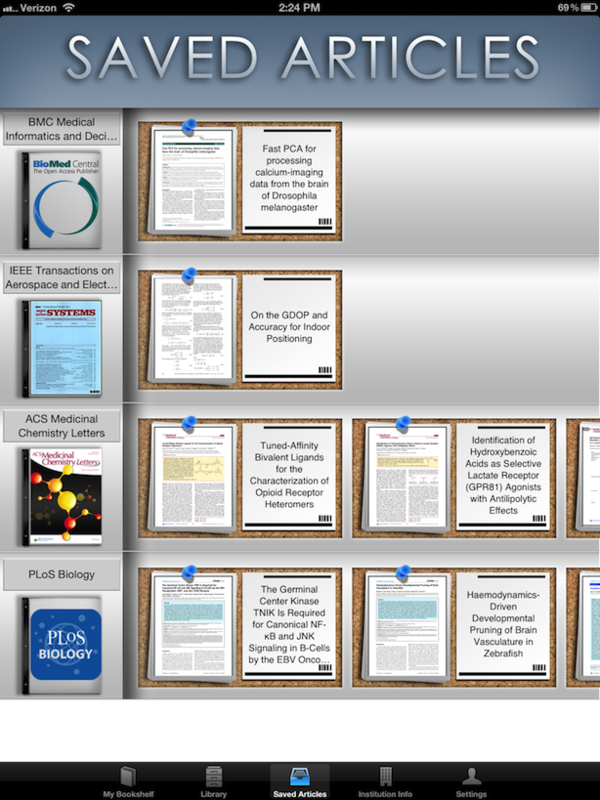 Find it hard to read and browse journals on your tablet? We are excited to announce a trial to BrowZine, a tablet tool that that arranges subscription and open-access journals on a common newsstand. The result is an easy and familiar way to browse, read and monitor scholarly journals across the disciplines. From your iPad, download BrowZine from the App Store and install it. When you open BrowZine for the first time, you will see a list of schools, please select Alabama-Huntsville; then, enter your UAH Charger ID and Password. Select the subject areas and start browsing! There is also an Android version of BrowZine available, which can be downloaded from the Google Play or Kindle/Amazon stores. Please note that the supported devices for BrowZine are Google Nexus, Samsung Galaxy and Kindle Fire HD. We currently have trial access to the APA Handbooks in Psychology until November 8th. These reference books (listed below) provide a one-stop shop for both overviews and in-depth analyses of a variety of sub-fields within psychology. Please contact us at erefq@uah.edu or 256-824-6529 if you are interested in accessing these resources! BioOne is an online resource of leading research in the biological, ecological and environmental sciences. It provides full-text articles and current content from 176 publications with substantial coverage in many disciplines, such as Animal Sciences, Ornithology, Entomology, Environmental Sciences, Plant Sciences, among many more! 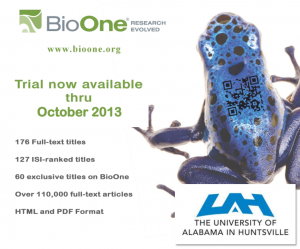 We currently have a trial to BioOne until October 31st. Contact us at 256-824-6529 or via email if you’d like to access it! The following database trials have been extended until October 11th. Please email us if you’d like to access any of them! Business Source Complete is the world’s definitive scholarly business database, providing the leading collection of bibliographic and full text content. As part of the comprehensive coverage offered by this database, indexing and abstracts for the most important scholarly business journals back as far as 1886 are included. 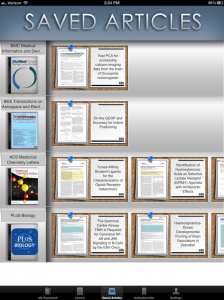 In addition, searchable cited references are provided for more than 1,300 journals. Civil War Primary Source Documents from The New-York Historical Society presents unique manuscript material chronicling all aspects of the American Civil War from warfare on land, at sea, in hospitals and prison camps, and reactions and impressions of the War from the home front. The collection, comprised of over 110,000 pages, focuses on the War as it was fought from 1861 to 1865 and represents both Northern and Southern perspectives. It also contains important contextual documents leading up to War and after its conclusion. Curated by experts at The New-York Historical Society, these historical documents represent decades of collection and preservation. Education Source is designed to meet the needs of education students, professionals and policy makers. The extensive collection includes full text for more than 1,700 journals, 550 books and monographs, education-related conference papers, citations for over 4 million articles including book reviews. Coverage in Education Source spans all levels of education from early childhood to higher education and also includes educational specialties such as multilingual education, health education and testing. L’Année philologique, published by the Société Internationale de Bibliographie Classique, is a specialized bibliographic database of scholarly works relating to all aspects of ancient Greek and Roman civilizations. Its subjects are Greek and Latin literature and linguistics, including early Christian texts and patristics, Greek and Roman history, art, archaeology, philosophy, religion, mythology, music, science, and scholarly subspecialties such as numismatics, papyrology and epigraphy. With over 810,000 records, L’Année philologique includes citations to journal articles and books, with abstracts in English, German, Spanish, French or Italian. We currently have a trial for the Oxford Dictionary of National Biography (ODNB) until October 19th. It contains the national record of men and women who have shaped British history and culture, worldwide, from the Romans to the 21st century. The Dictionary offers concise, up-to-date biographies written by named, specialist authors. It is overseen by academic editors at Oxford University, UK, and published by Oxford University Press. The ODNB now includes biographies of more than 58,600 men and women who died in or before the year 2009—plus 504 ‘Theme’ articles for reference and research. If you are interested in gaining access to ODNB, please contact us at 256-824-6529 or via email. If you are interested in accessing this database, please contact us at 256-824-6529 or via email. We have trial access to the following databases until September 30th. Please contact us at 256-824-6529 or via email if you would like access. Air & Space Smithsonian Magazine Archive: Over 40 years of in-depth and expert coverage of high-demand topics and unique insights into innovation, history, science, technology, the arts, and culture are accessible in an integrated, intuitive display. Artemis: Literary Sources: Primary sources, critical articles, literary and cultural analysis, and biographies across several centuries. National Georgraphic Virtual Library: This collection brings together a complete archive of National Geographic magazine — every page of every issue — along with a cross-searchable collection of National Geographic books, maps, images and videos. We have access to the following databases until September 30th. Please contact us at 256-824-6529 or via email if you would like to access any of them. 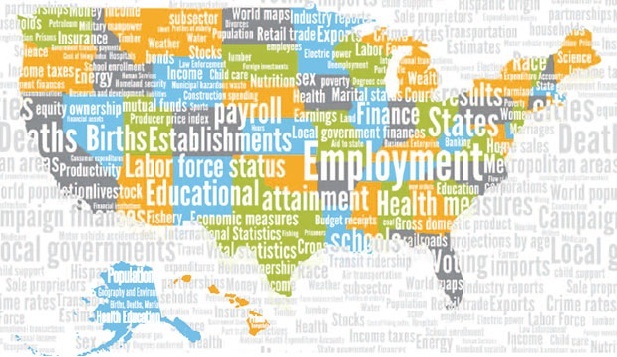 For the month of February we have a trial The ProQuest Statistical Abstract of the United States, which is the authoritative and comprehensive summary of statistics on the social, political, and economic conditions of the United States. Published annually by the Federal Government since 1878, The Statistical Abstract of the United States is the best-known statistical reference publication in the country. In the spring of 2011, the Census Bureau announced that the edition that year would be the last one produced at government expense. Despite protests from librarians and journalists and despite petitions to Congress, the Census Bureau unit that published the Statistical Abstract was eliminated in November. ProQuest has now taken on responsibility for updating and releasing this publication, the most used statistical reference tool in U.S. libraries. For more information on how to log into this trial, please contact us at erefq@uah.edu. 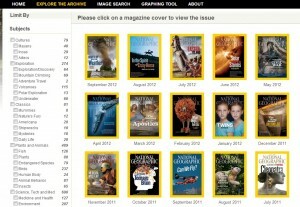 We currently have a trial subscription to National Geographic Magazine Archive from 1888 to 2012! National Geographic magazine is the official journal of the National Geographic Society, one of the world’s largest nonprofit educational and scientific organizations. Recognized for some of the highest-quality photojournalism and cartography in the world, this award-winning, iconic magazine is famous for providing unparalleled, in-depth coverage of cultures, nature, science, technology and the environment. The National Geographic Magazine Archive includes every page and every photograph, all fully searchable through an intuitive interface. 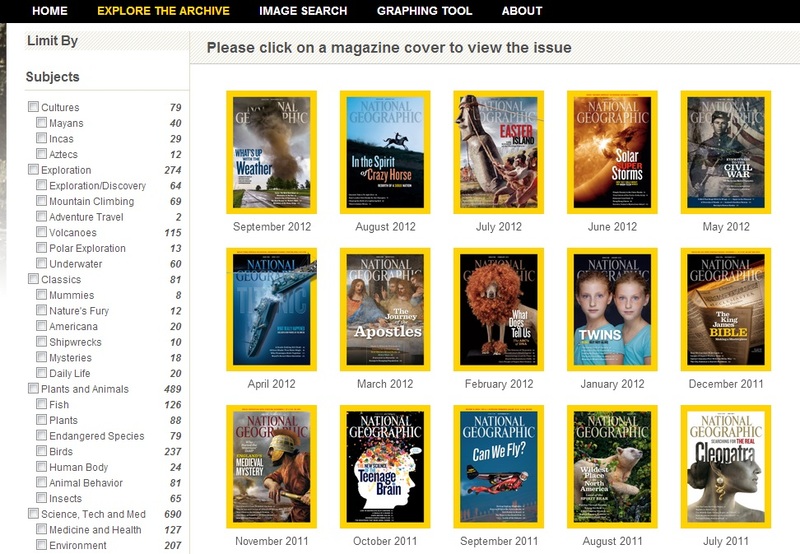 With standard library features and functionality common to all Gale Digital Archives, National Geographic Magazine Archive is a powerful tool for finding and reading through the 100+ years of impactful articles found in this archive. This trial expires December 20, 2012. Please contact us at erefq@uah.edu or 256-824-6529 if you are interested in gaining access to this exciting trial! 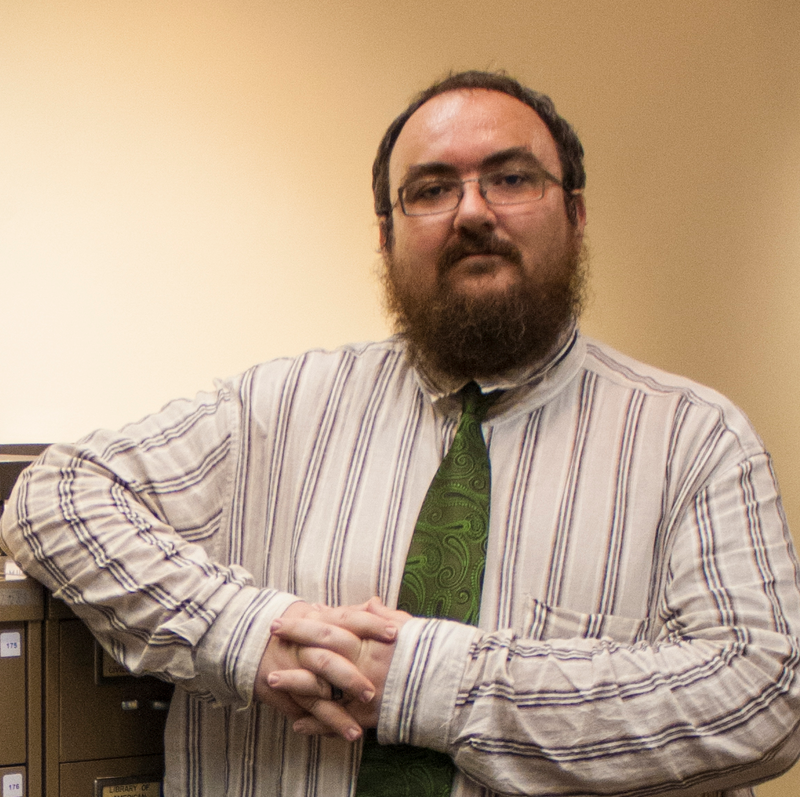 The UAH Library Blog is currently being run by Doug Bolden. He, and the rest of the Reference and Information Services Department, are here to act as library outreach and reference support. Questions, comments? Feel free to get in touch!